Born Armand Weill in Gebweiler, Alsace-Lorraine, France on December 28, 1893. 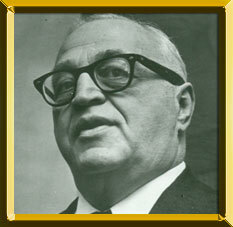 Regarded as one of the most astute boxing managers in history, Weill came to New York at 13. He was introduced to boxing while working for a leading fight manager of the time and with a taste of the fight game, he soon forged out on his own. As a manager his stable of fighters would eventually include four world champions; lightweight Lou Ambers, featherweight Joey Archibald, welterweight Marty Servo and undefeated heavyweight Rocky Marciano. Dubbed "The Vest" or "The Weskit" by Hall of Fame journalist Dan Parker, he also piloted stars Sammy Luftspring and Joe Louis foe Arturo Godoy. During his colorful career, the energetic Weill had an uncanny ability to spot talent and analyze boxers' styles. Equipped with this tremendous matchmaking ability he served as matchmaker at Madison Square Garden for Mike Jacobs from 1949 to 1952 and for Jim Norris' IBC. Weill also promoted bouts at numerous clubs along the East Coast that featured such stars as Kid Chocolate, Barney Ross, Tony Canzoneri and Max Baer. Known as a smart, aggressive, and demanding manager, Weill was also a champion waltz dancer. He withdrew from boxing shortly after Marciano's retirement and retired to Florida where he died on October 20, 1969 at age 75.